The organisers of the 2020 Tokyo Olympics will turn e-waste into medals for the world’s best athletes. Discarded electronics contain valuable metals, including gold, that will be sourced and reused to make the Olympic medals. Japan has been dubbed the world’s largest urban mine because of the sheer volume of e-waste produced annually. This urban mine of gold and silver components found in electronic devices is equivalent to 16% and 22% of the world’s total reserves, respectively. Normally, Olympic host cities have relied on mining companies to donate the metal needed for the manufacture of the medals. However, Tokyo’s government officials and company executives agree that there is enough e-waste in Japan to source the precious metals from landfills and recycling facilities. 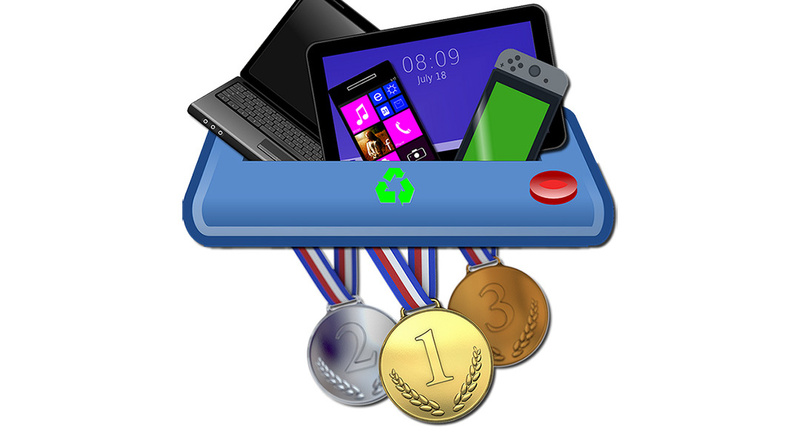 The idea of used recycled e-waste for the 2020 Olympic medals aligns with the sustainability values and philosophies of the Olympic and Paralympic Games. As a result, the Japanese government and Olympic committee and urging citizens to donate their old smartphones and electronic devices to the organisers. An estimated two tonnes of gold, silver and bronze will be needed to manufacture the 5000 medals for the Olympic and Paralympic games. This repurposing initiative will reduce the amount of e-waste in Japanese scrap yards and will make use of the value of discarded electronics.